Rheumatic fever occurs after a streptococcal infection (usually caused by Group A Beta-Hemolytic Strep (GABHS)). 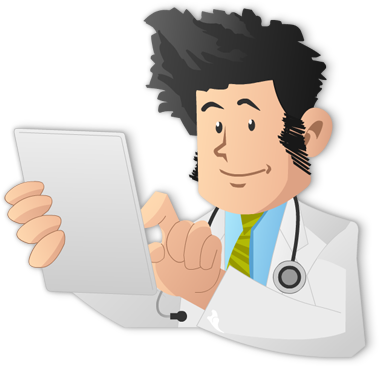 It is an inflammatory condition that affects the joints, skin, heart and brain. 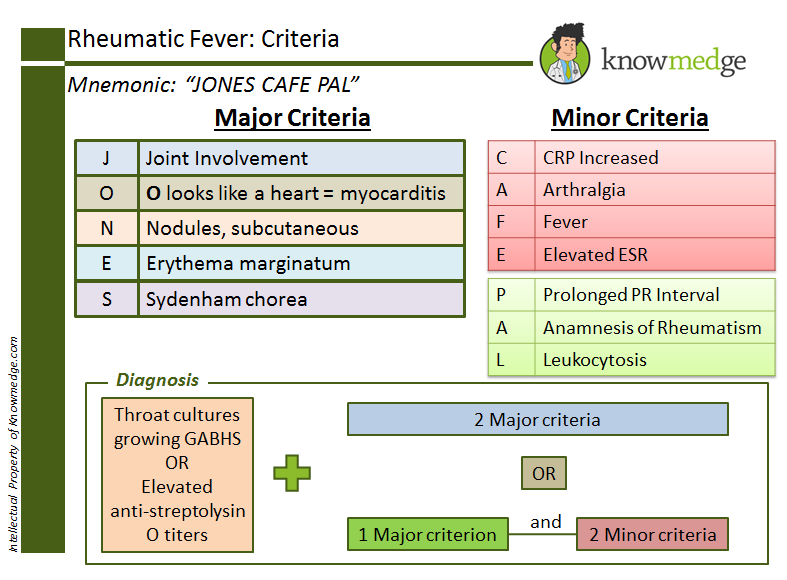 Major criteria are referred to as Jones criteria and can be remembered by the mnemonic of the same name. Mnemonics by themselves are not the answer to remembering everything. However, if you know the basics and underlying issues, then a mnemonic can serve to help you recall the exam details that can easily get lost. This is the first in our series of Medical Mnemonics Monday posts. You can see all future medical mnemonics here. This is so self-evident I just assumed everyone must have developed something very similar, if not identical. Remember, it’s neither pericarditis, nor merely myocarditis – it’s pan-carditis – all 3 layers are involved. Also, “Joint” doesn’t differentiate between true arthritis and arthralgia, a minor criterion. “O” might suggest an oval, or ovoid structure, or a heart, but it might mean “zero”, or “I’m drawing a blank on this ‘mnemonic'”! We both saw “nodules”, “erythema m.”, and Sydeham” as straightforward in this acrostic, although I’ve never found a satisfactory differentiator between EM and the commoner erythema nodosum (EN). I’ve just remembered that E rythema is the “other one”, and the SQ nodules reinforces that recollection. *Yes, you are correct. PANES and pains are homophones and have different meanings. Perhaps you prefer “Peering through the PANES perceives the major Jones criteria of RF”. **Correct again. APACHE is in, Ranson – off to the dustbin.